An often misunderstood and underrated album, 1986's Seventh Star was never intended to be a Black Sabbath release, as the band had effectively broken up following their disastrous 1984 tour. 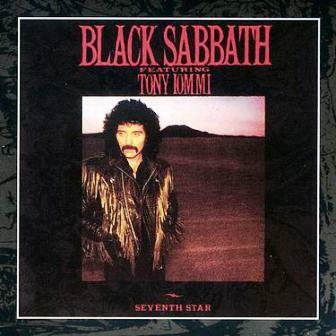 Instead, it was originally conceived by guitarist Tony Iommi as his first solo project, but record company pressure forced him to use his old band's name at the last minute. With this in mind, one can better appreciate both the record's un-Sabbath-like songwriting and the participation of journeyman singer Glenn Hughes. Hughes' incredibly powerful and soulful vocal style was certainly inept for classic Black Sabbath material (a fact that would spell his departure during the subsequent tour), but here it positively shines, especially on ballads such as "In Memory" and the gorgeous "No Stranger to Love." Iommi's riffs and solos are also much more inspired than in recent years, and other highlights include the fiery "In for the Kill," the brooding title track, and the amazingly catchy "Danger Zone." — Ed Rivadavia.